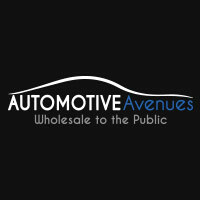 Automotive Avenues proudly stands behind every vehicle that we sell. Your satisfaction is so important to us that we now offer a 5-day, 500 mile trade-in policy. No questions asked. No reason needed. Feel free to test drive and trade into a different car that you feel better suits your needs. Your car must be in the same condition as purchased with no more than 500 additional miles. After 5 days or 500 miles your car may be subject to an appraisal at fair market value. Please contact info@autoavenj.com or call us 844-455-4372 with any questions. Happy car shopping!